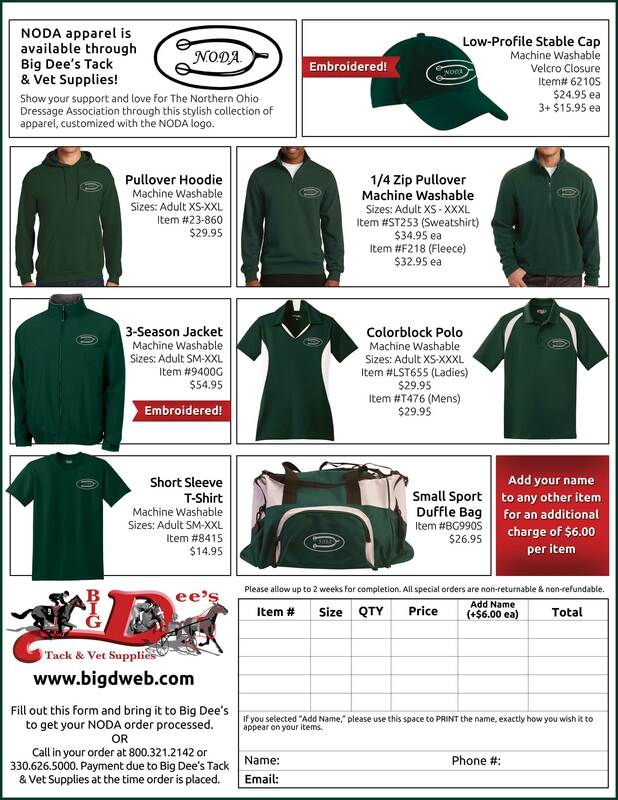 Please Support our Advertisers and Sponsors with your Business! 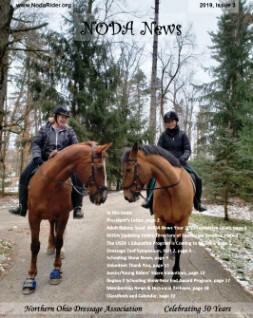 NODA publishes 12 newsletter issues annually which highlight equestrian events and news. 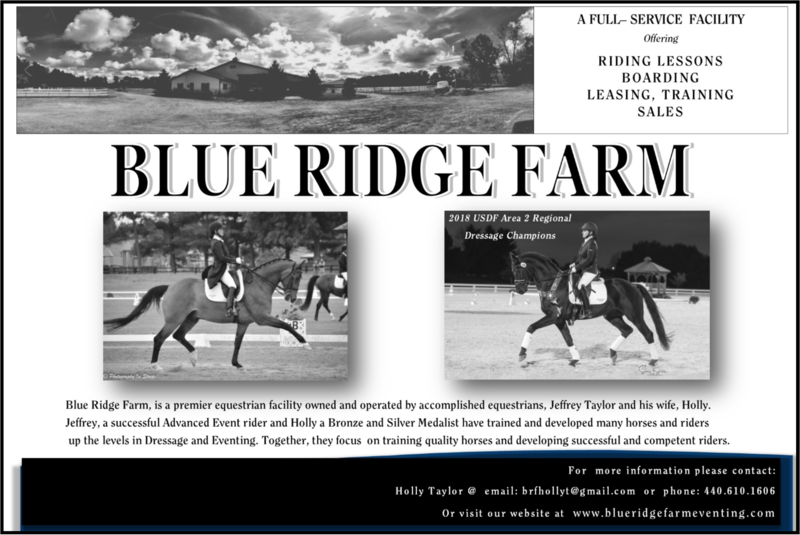 Packed with information valuable to NODA members and the equestrian community at large, every issue includes articles, news, events, clinic reviews, and more! Mosie joined the team in 2012 and has served in various newsletter roles. 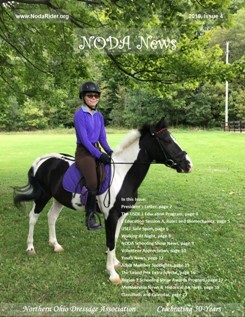 As of 2018 NODA News Issue 12, Mosie is the Lead Editor of the newsletter team, in addition to submitting monthly news and articles to "The Corral Magazine". As a former successful co-editor of NODA News, Mosie brings a wealth of experience to this role. 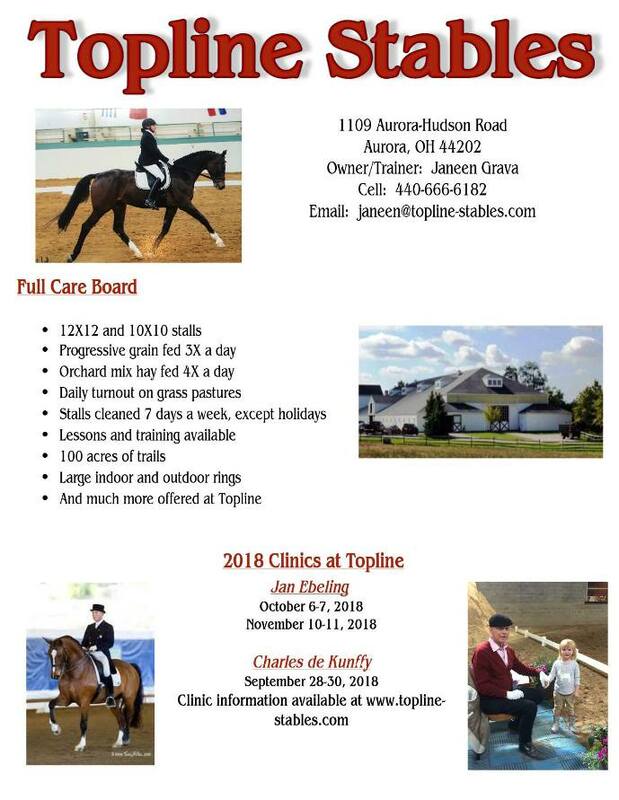 Over the years, she has dabbled in horse show volunteer work (tabulating, equipment check, scribing,) and writing articles for the newsletter. Her current dressage partner is her 2008 Welsh cross pony, Aleksandr Robyn (aka Alaska). 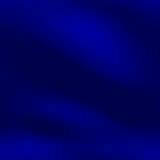 At home are husband, Denis, her Frieisian mare, Sietske, Alaska, and two standard poodles, Supai and Piegan. When she isn't riding, she treasures time with their grandchildren, taking dance lessons, hiking, and gardening. Heidi joined our Newsletter Team in January 2018. Working closely with the Newsletter team, Heidi will help develop content, write articles, help format, and review the newsletter. Heidi has had a lifelong love of horses, and finally got her first horse 18 years ago. Retired after 28 years working in a machine shop where she did everything from running machines to office work, Heidi now devotes her time to working with her beloved horses, Merlin (in picture), and Tucker (also known as "Got That Right") and working at her barn. 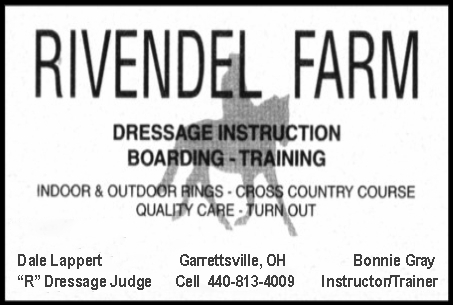 She enjoys competing at dressage shows with both horses, and hopes to do some breed shows. In her spare time, she also enjoys creating and producing beautiful custom embroidery. 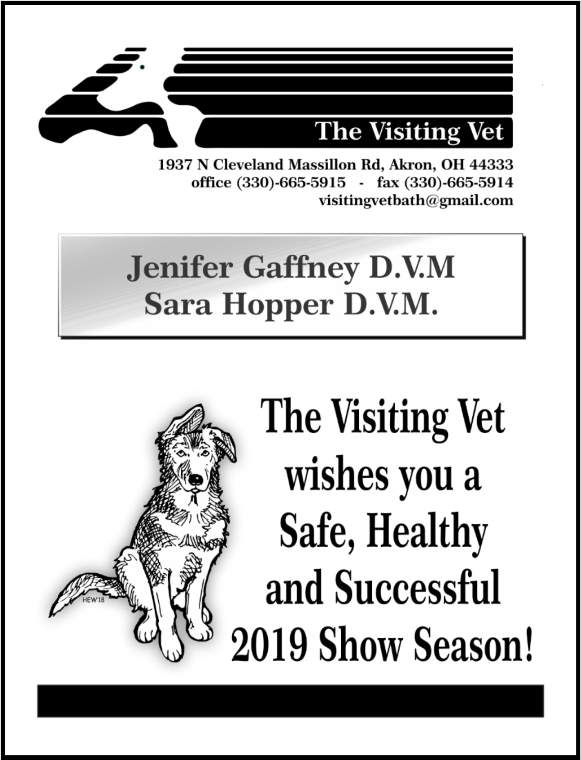 Jen joined our Newsletter Team in January 2019. She is the contact for newsletter and website advertising, including classified ads. Horses have almost always been a part of her life. Growing up she rode Children's Hunters until College. When her daughter showed an interest in horses and lessons, she was able to get back in to horses as a mother/daughter bonding experience. As a NODA member, Jen wanted to give back to NODA for being welcoming and friendly to her and her daughter. With degrees in interior design, art, and education, she's currently taking a break from high school teaching which leaves time to work with the Newsletter team. Jessica joined the newsletter team in July 2017. She is a former nurse turned family medicine resident at University Hospitals Parma. 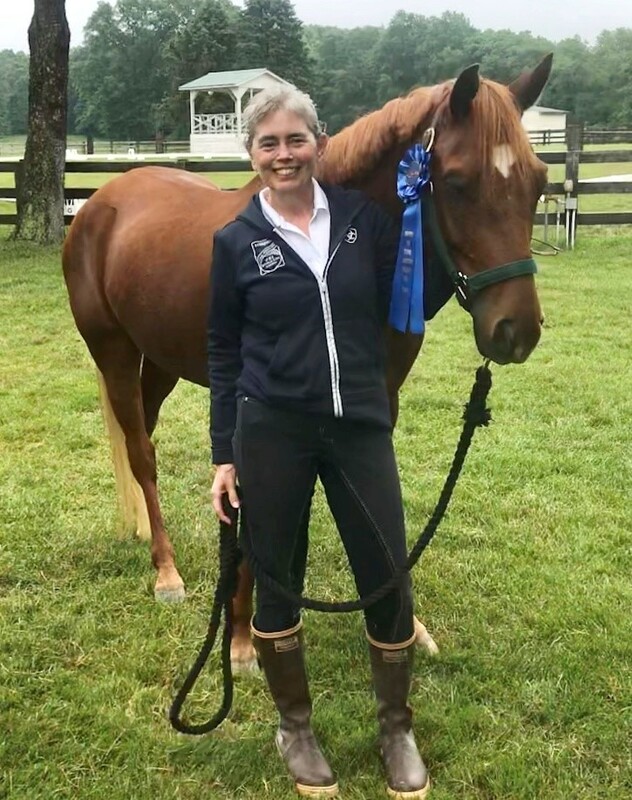 In her not so spare time, she has started pursuing her USDF Bronze medal with her mare, Whimsical R. Together with her husband George, she breeds and raises warmbloods and Friesians. The farm is also home to two dogs (Golden Retriever Tiberius and Great Dane puppy Scooby Doo), and two chickens. Jessica loves classical dressage and is excited to be sharing her passion for learning through writing articles for the NODA NEWS. Regina officially joined the team in 2014. 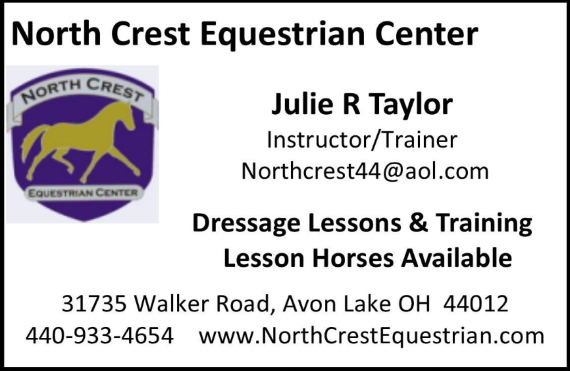 She is a USDF Silver and Bronze medalist devoted to the pursuit of dressage excellence, and has attended the USDF �L� Program and was an AA Participant in the USDF Trainer/Instructor Certification Classes. Formerly FedEx VP, she now specializes in horse-related websites, clinic reviews, and articles. Regina owns several horses and two dogs. She is an organist/soloist at her local Church, AND she is married to a very supportive horse-husband, Edy Ujczo! 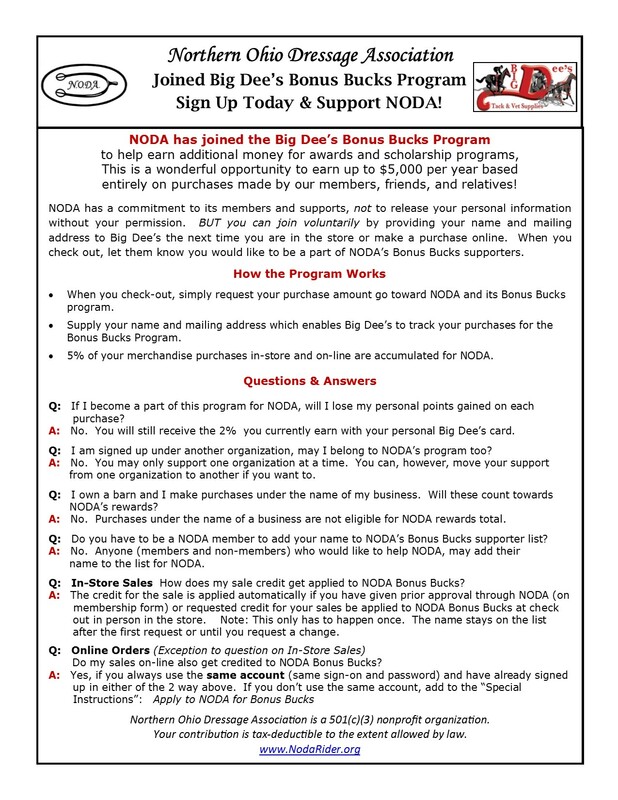 Do you receive NODA E-News Broadcasts? 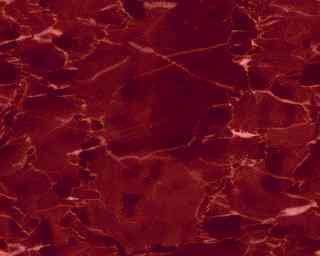 Don't miss out on any hot news! If you are a member and you have provided an e-mail address on your Membership Application BUT you are not receiving NODA E-News Broadcasts, contact Webmaster@nodarider.org.